As a child of two scientists, I'm in love with the theme of this session. I've had some super out of the box themes for cake smashes lately, and I LOVE the opportunity to get creative and come up with ideas. 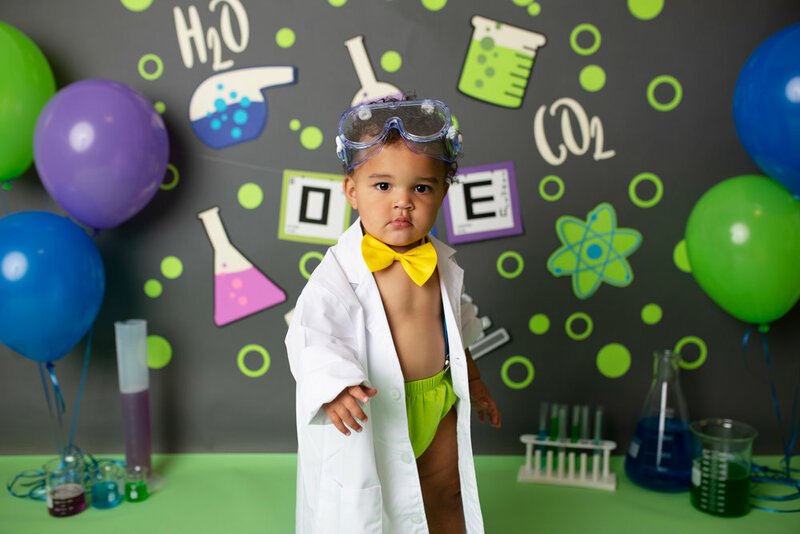 When mom told me her theme was science, I immediately started ordering beakers and test tubes, goggles, and a little lab coat for little man to wear. I love the way this turned out! We used Jello in the beakers so that if they got tipped over, we wouldn't have water all over to cut our session short. When everyone came in for their session, little man was shy. You'll see in the pictures, he was nervous and kept wandering his way back over to mom, but he REALLY wanted to eat his cake. 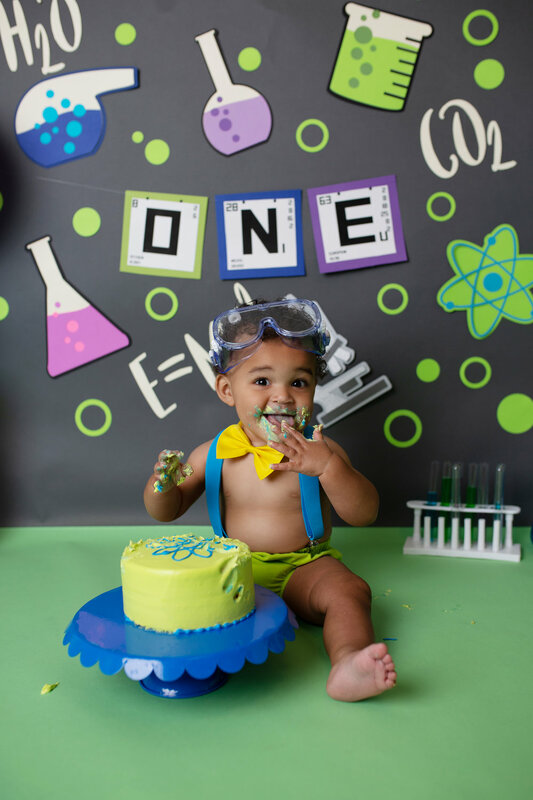 At one point, you'll see in the pictures, he tried to pick up the cake to bring it over to eat with mom, but it didn't go to plan. 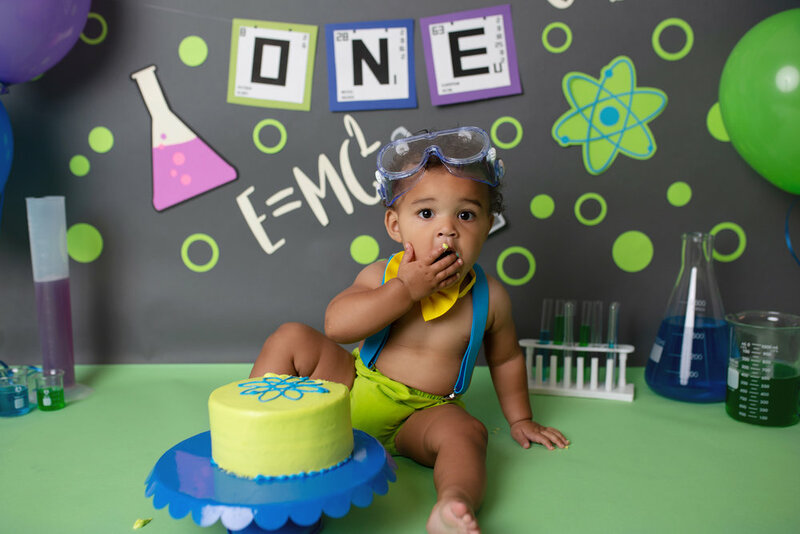 ;) By the end of the session, he was ALL OVER that cake and even discovered that Jello is amazing. Such a fun session!